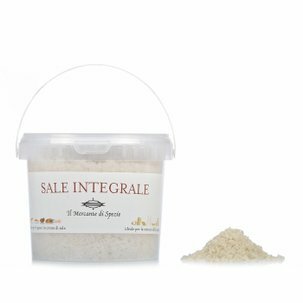 The Hawaiian Black Lava Salt from Il Mercante di Spezie owes its characteristic black colour to its volcanic origins. It is therefore rich in charcoal that gives it its intense black colour and also its precious detoxifying qualities. It has a bitter, dry taste with smokey overtones. Try it with meat and fish dishes to give them a hint of smokiness. Ingredients Food-grade sea salt, charcoal. For more information on product labels, please contact our Customer Service department. The information on the labels of the products may vary for reasons beyond our control, therefore, there may be discrepancies between the information on the site and that on the products delivered. Please always check the information on the product before consumption or use.